XW Aquaculture Sdn Bhd, a subsidiary owned by Xinghe Holdings Bhd, is reportedly acquiring Tawau based 97.9 ha prawn farm and its associated assets & facilities from Pegagau Aquaculture Sdn Bhd in an all-cash deal worth RM100 million. The acquisition will allow the group to grow its business and strengthen its financial status by developing a new resilient business based in Malaysia to boost its prevailing edible oil operations in China, the company stated in a filing submitted to Bursa Malaysia. The company further mentioned that it is hopeful that the acquisition which is being set up with the tuna and seafood processing plant will stand to earn accretive and thus enhance the group’s value in the long-run. Reportedly, Xinghe currently generates revenue from its peanut oil and other edible oil businesses based in China. However, China’s campaign concerning environmental pollution in the smog-prone northern region, which commenced a few years back, had a negative impact on the group’s production plant as it falls in the concerned region, cite sources. According to sources familiar with the matter, restriction on production to enhance air quality owing to local Chinese authorities’ directives to industrial plants has led to the group not being able to fulfill its sales order for a reasonable amount of time. These production constraints have limited the group from accepting new orders and as a result, the group’s revenue has been plunging since August 2016. 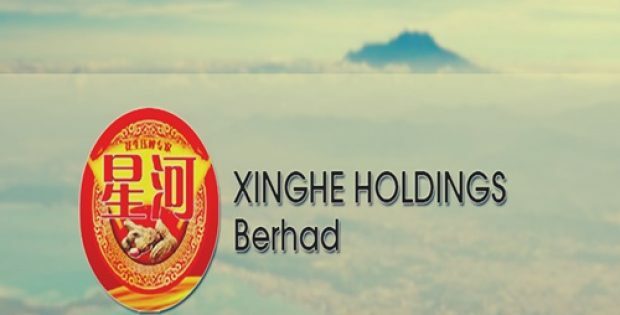 Moreover, the uncertainty has deteriorated the group’s financial performance with its profits before taxation declining from RM125.1 million in the financial year of 2015 to RM8.9 million in the financial year of 2017, Xinghe stated. Sources claim that for the current financial year, the group has suffered losses for two out of three fiscal quarters and as of September 2018, the group’s loss for the YTD (year to date) valued RM14.5 million. In light of such uncontrollable factors, the group has implemented steps to lessen the setback that it has faced in China, by seeking novel revenue streams in Malaysia, Xinghe added.